Oxford University is delighted to announce the appointment of Dr David Prout as Pro-Vice-Chancellor for Planning and Resources in support of its commitment to internationally outstanding education and research. Dr Prout is currently Director General of the Government’s High Speed 2 rail programme and has extensive experience of project management and policy-making in central and local government. As Pro-Vice-Chancellor he will lead Oxford’s institutional and strategic planning, as well as its resource allocation, to support the University’s mission as one of the world’s outstanding academic institutions. He will also oversee budgets for all Divisions and departments, with a combined annual expenditure totalling more than £1.3 billion. 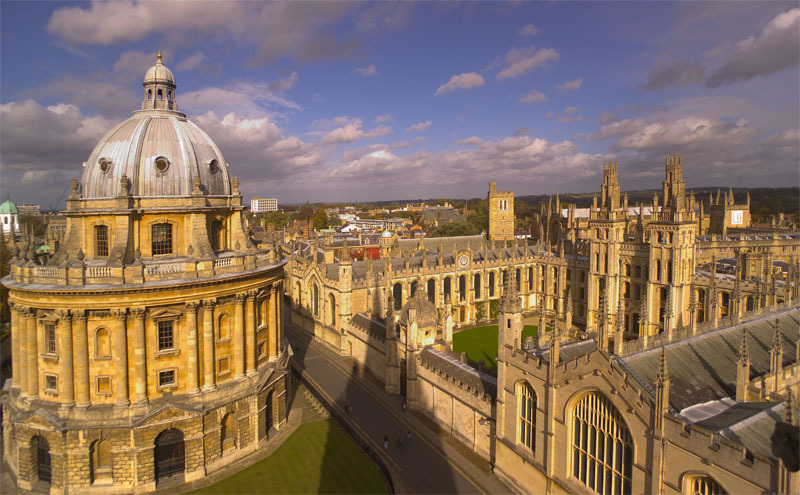 Dr Prout’s responsibilities also include taking forward Oxford’s ambitious capital programme to enhance its research and teaching resources. He will guide the development of new academic buildings, the purchase of highly advanced equipment and the modernisation of existing facilities. Key projects will range from much-needed housing for graduates and staff to a new humanities building, new laboratories for interdisciplinary bioscience and continued expansion of facilities for innovation and commercial enterprise. His post also includes oversight of plans for University’s libraries and museums, and for the administrative service. For Dr Prout, the role marks a return to the city where he grew up and later studied. His father, Prof CK Prout, was an inorganic chemist and Vice-Provost of Oriel College who was continuously associated with the University from when he came up at age 18 until his death at the age of 73. David Prout studied Modern History at Wadham College and went on to take a PhD in architectural history from the Courtauld Institute of Art. In 2013 Dr Prout was asked to lead the Government’s £55 billion High Speed 2 programme. Phase 1 of HS2 from London to Birmingham received parliamentary approval in February and preparatory construction works are now under way. Before taking on his role on the HS2 project, Dr Prout was a Director General at the Department for Communities and Local Government, responsible for all aspects of local government policy. Prior to that he worked at the Royal Borough of Kensington and Chelsea as Executive Director with responsibility for planning and regeneration. He worked on housing estate regeneration and in particular on the deal to relocate the Design Museum to the old Commonwealth Institute in Kensington High Street – a project that was completed last year. He has held a range of other high profile civil service positions including Principal Private Secretary to the Deputy Prime Minister. Dr Prout will be building on the substantial achievements of Professor William James, who has overseen considerable growth and development during a challenging funding period for the University. As Pro-Vice-Chancellor for Planning and Resources, Professor James has overseen major new developments in the University’s science park, in its medical facilities and the Radcliffe Observatory Quarter, including the Blavatnik School of Government. He will continue his research and teaching work at the Medical Sciences Division as Professor of Virology, with a particular research interest in preventing the replication of the HIV-1 virus. Dr Prout is due to take up the position in September 2017.